As far as we are aware this is European first. Grats all! Last edited by Harleyg; 21st September 2009 at 04:42. I knew things would go smoother with one less chump to contend with! From what I can gather this is a EU first! Although the Yanks got in first due to benefitting from earlier access do we know anything about how quickly they managed to complete the task? I.e. 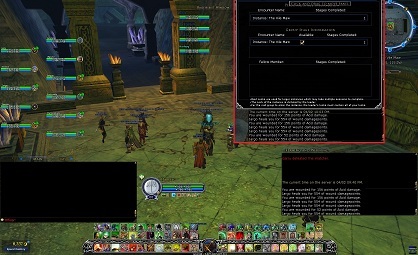 the interval between the server going live and the watcher going down? Is it possible that we finished the task quickest? Hard to compare since they had early acces. Anyways I realy had fun 1st time something was kinda hard and kept my on edge of my sit like in early Rift barlog fights. Was happy to help was nice to see 2LM needed to compleate the task after a while again. Was realy fun specialy at the part when we got 4 wind lore resists in a row. Good job all specialy Tia for backing up when debufs were resisted and ofc healers for keeping Tito alive it realy helped with extra debuffs. U all did great job and I realy enjoyed it!!! Last edited by Harleyg; 3rd April 2009 at 20:02. All times are GMT +1. The time now is 04:15. Not made to be viewed in Internet Explorer.